List Rules Vote up the prizes that you were most psyched to win back in the day. Growing up in the '90s was rad. At every grocery store, pizza parlor, and arcade there was a quarter machine just waiting to gobble up your hard earned cash in exchange for useless, yet totally awesome prizes like those weird sticky hands that didn’t actually stick to anything (except for mystery hairs), and those giant glittery stickers that said things like “YOU GOT IT” or “DAISY.” '90s kids prizes were the best. This list is all about taking a look back at all those fun prizes you won in the '90s and figuring out which treasure was the best. Prepare for the wave of the nostalgia to hit while you look at the best prizes that 90s kids remember getting from a machine. Some '90s toy prizes have managed to maintain their air of mystique, even though they’re just cheap pieces of plastic. Maybe it’s because you remember wanting the prizes so badly, or because you never really grew up - whatever the reason, the prizes on this list are going to take you back to your youth and probably stir up some very intense feelings about pizza parlor foyers. After you finish taking a look at these twenty-five cent treasures from the '90s, look them up online and buy a stickyhand for old time’s sake. Vote on the prizes that you were most psyched to win back in the day. 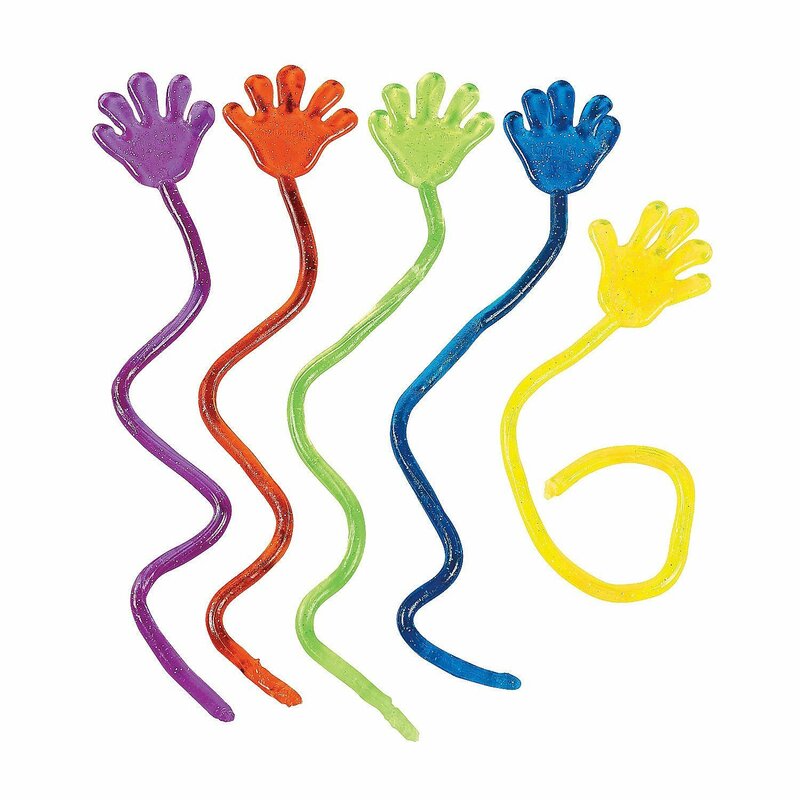 You win extra fun points if you remember where all those old sticky hands are.